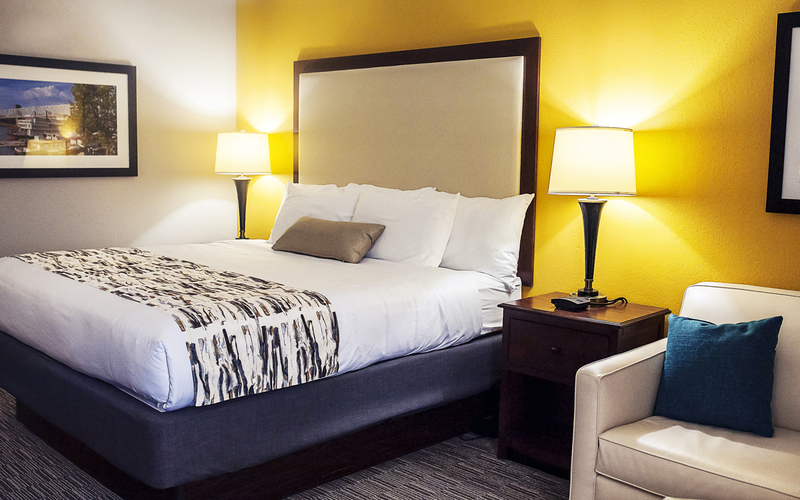 Our guests sleep so well, they consistently ask us about the hotel bedding. 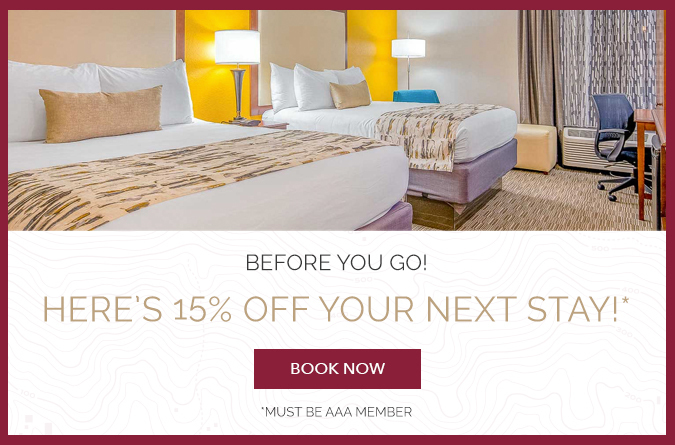 From the bedding to the Bath & Body Works bathroom amenities to accessing your personal streaming accounts right on the in-room TV and much more. 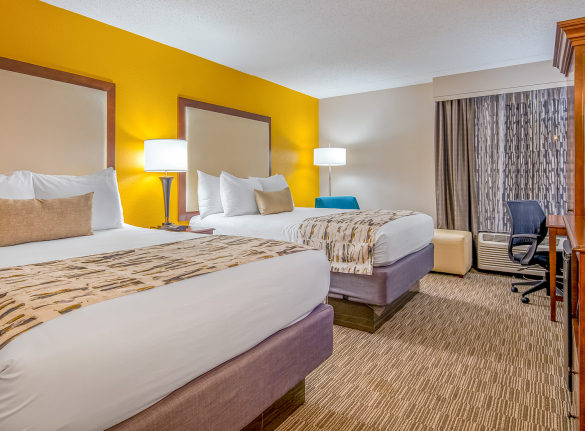 Our rooms are designed with you in mind. 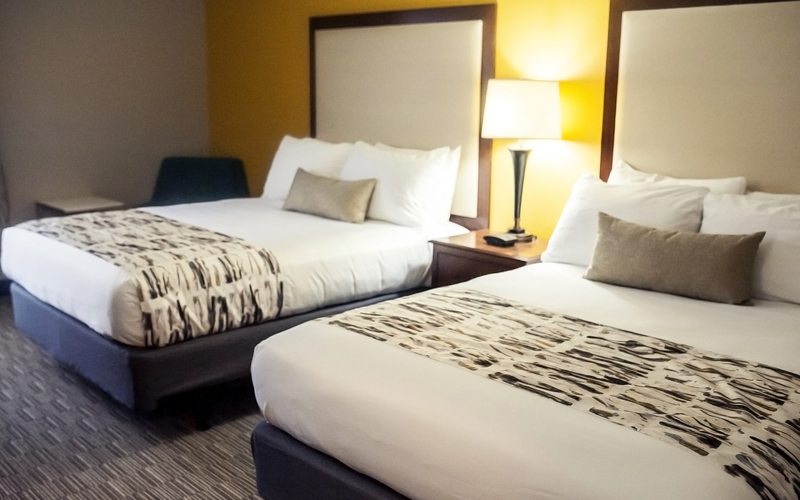 Our plush and ultra-comfortable king Serta beds are just the beginning of this renovated room experience. 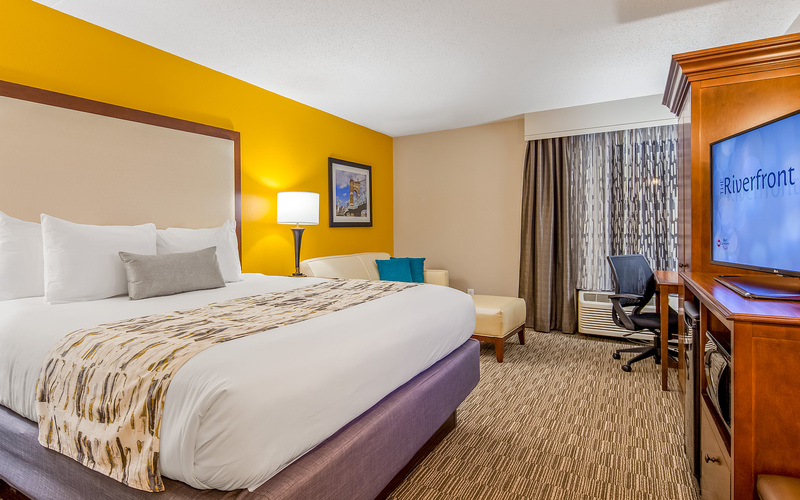 Enjoy a water view from this room with its brand new carpeting and fresh accessories. Use the microwave, mini-refrigerator, and a convenient sofa bed for any additional guests or children traveling with you. 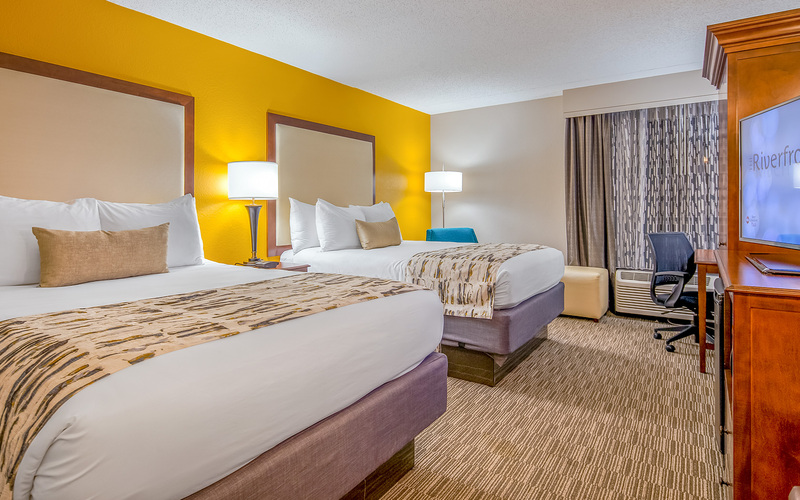 Relax and get comfortable in this double queen room. Stream from your very own Netflix account to the 43-inch LED TV. Use our microwave and refrigerator for snacks and the coffeemaker for a quick cup. All bathrooms have plush towels and Bath & Body Works products. 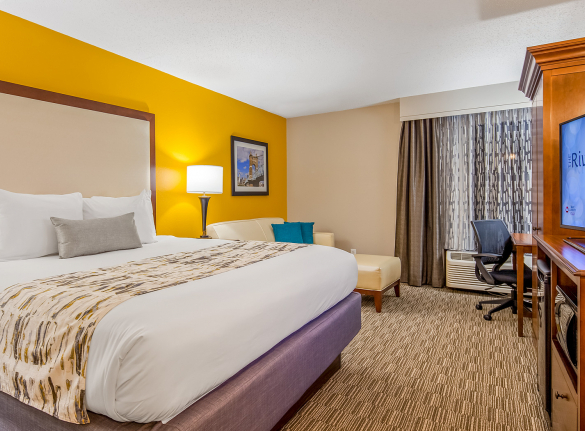 You’ll have a picture perfect view from these accommodations. 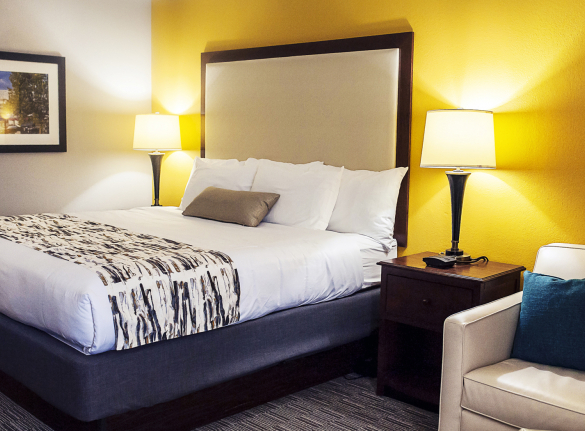 Our renovated king suites come with sumptuous Serta beds, new carpeting, and updated room accessories; a microwave, mini-refrigerator, sofa bed, and coffee/tea maker are all for your comfort and convenience. 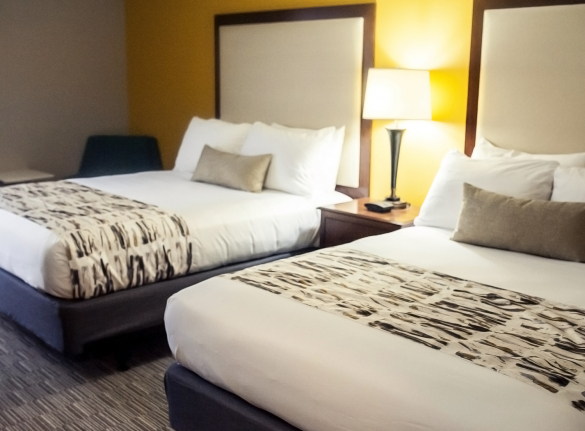 This two queen suite, like all our guest rooms, is packed with many comforts of home including high-speed WiFi, a 43-inch LED TV and the ability to access your personal streaming accounts. A microwave, mini-refrigerator, and coffeemaker are for your convenience. We've added a sofa bed for families or friends who want to stay together.